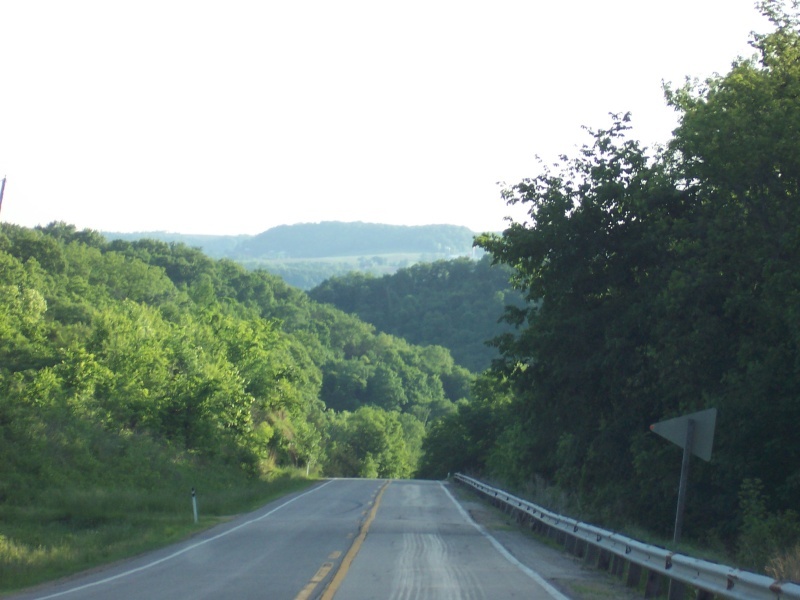 Quickie Summary: State “Trunk” Highway 133 twists and turns into a “c”-like arc around southwestern Wisconsin and the gorgeous Driftless Area. From the “World’s Longest Main Street Without an Intersection” to the state’s only ferry service on the Mississippi to picturesque views on ridges and valleys in the Driftless Area, Highway 133 is a fun little Frito Scoop-shaped drive in Wisconsin. Highway 133 starts in Tennyson at U.S. 61 & Highway 35. This is one of the few places where the Great River Road in Wisconsin diverts from 35 – because it follows 133 here. 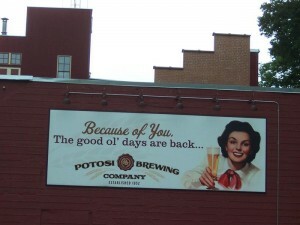 Beer is key in the history of Potosi (pop. 671), and is a key to its future. The National Brewery Museum and Library opened along Highway 133 just recently and offers tours every day (including Sundays) from 10am to 6pm. 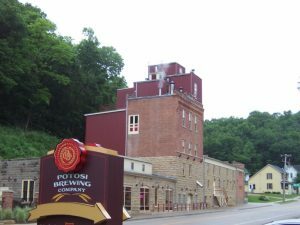 The Potosi Brewing Company busily brewed beer here from 1852 to 1972, and the former brewery’s buildings were renovated for the museum, which also features a microbrewery, a restaurant with an outdoor beer garden and a gift shop. 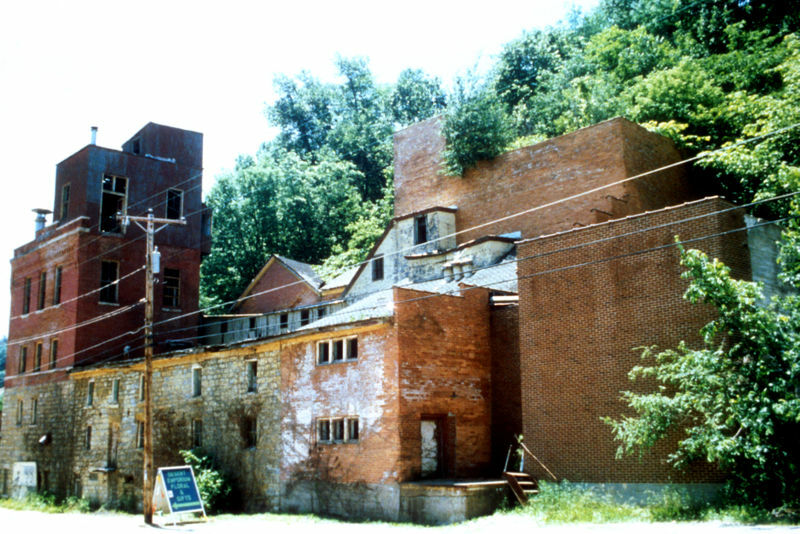 The Potosi Brewing Company fell into decline, as seen in this picture from the late ’90s above. Today (below, looking from the opposite direction), it’s the centerpiece of a resurrected brewery and museum. The newest cool thing in Potosi is the National Brewery Museum, which has resurrected the buildings that made up the Potosi Brewing Company for decades. 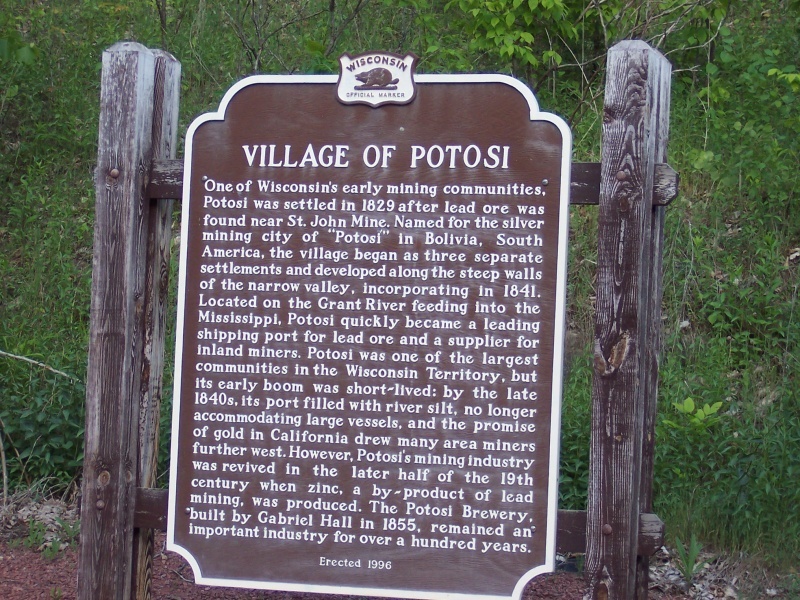 The Museum conducted a national search for a location; candidates included Cincinnati, St. Louis and Milwaukee…but they chose little Potosi. 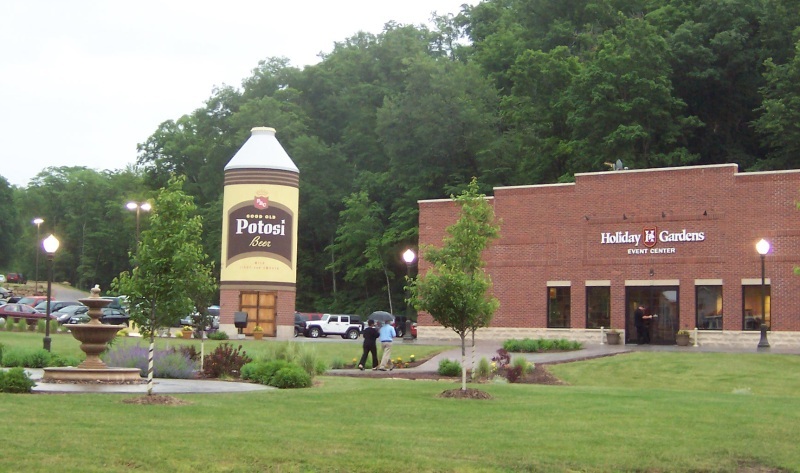 Evidence of the Potosi Brewing Company is everywhere, including this tower (below) that resembles an old-fashioned beer can. 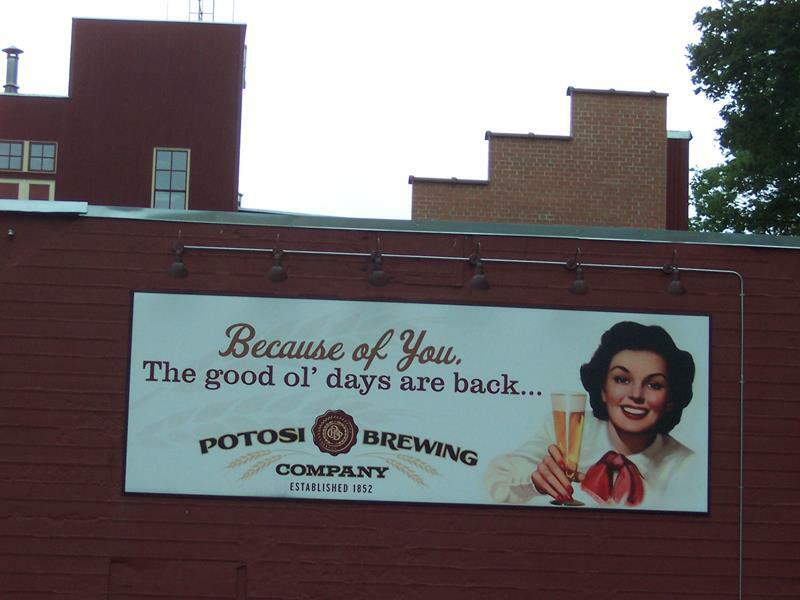 Their main brand was known as “Good Old” Potosi Beer, which was brewed here for 120 years in its first incarnation. 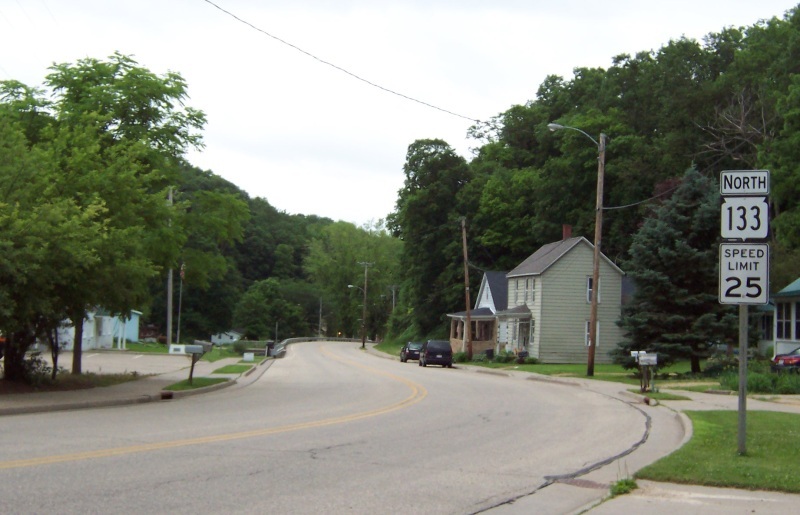 Highway 133 serves as a long, long main street for Potosi. 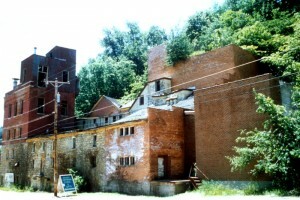 Past the downtown area and the National Brewery Museum, you pass St. John Mine. The mine was a natural cave worked by Native Americans and then European immigrants, both before and after the “Lead Rush” of 1827. The mine is named after Willis St, John, who made a small fortune in the first twenty years of the lead rush. Tours are available daily, and you can see stalactites (those icicle-looking rock things hanging down in caves) and realize that, whatever your working conditions are, you have it great compared to 19th century miners. Highway 133 in Potosi winds and twists through town, gradually heading from the hilltops near Tennyson down to the Mississippi River. For the most part, it’s the only street through town. 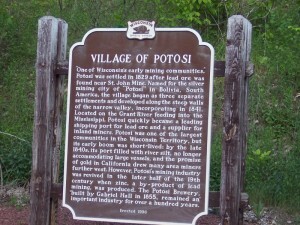 The World’s Longest Main Street Without an Intersection is another claim to fame for Potosi. While others will dispute that, hey, who are we to question it? It IS long. And a nice drive, too. It’s a great vantage point for observing wildlife, since Potosi is perched on the Upper Mississippi River Refuge, part of the 261 mile-long stretch along the river that serves as home to countless waterfowl, fish and a huge variety of birds…including bald eagles. We’ll cover more about that in Cassville. In Potosi, you drop in elevation as you go down Main Street. 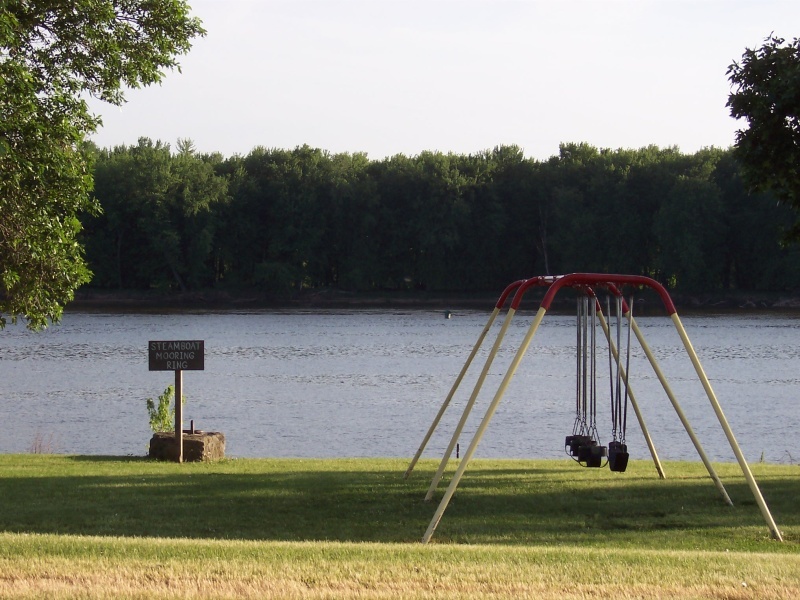 On the 19-mile trek to Cassville the bluffs make themselves known and you alternate between views of the Mississippi River and winding curves that go through forest and farmland. The hills in the distance in this photo are across the river in Iowa. There are some blind hills and curves on this stretch, so drive carefully! 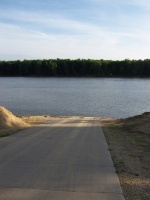 On the west end of Potosi, Highway 133 has a sharp curve where it begins to parallel the Mississippi for the ride to Cassville. 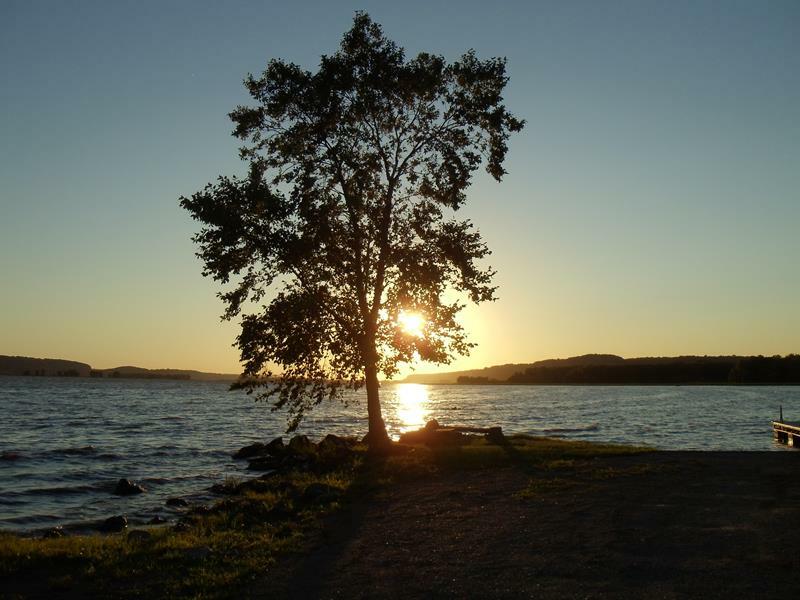 A gravel road brings you to this point, popular for fishing… or just gazing at the natural beauty around here. We like the tree shot at this point off Highway 133 at the river near Potosi, too. It pays to show up in the late afternoon sometimes. 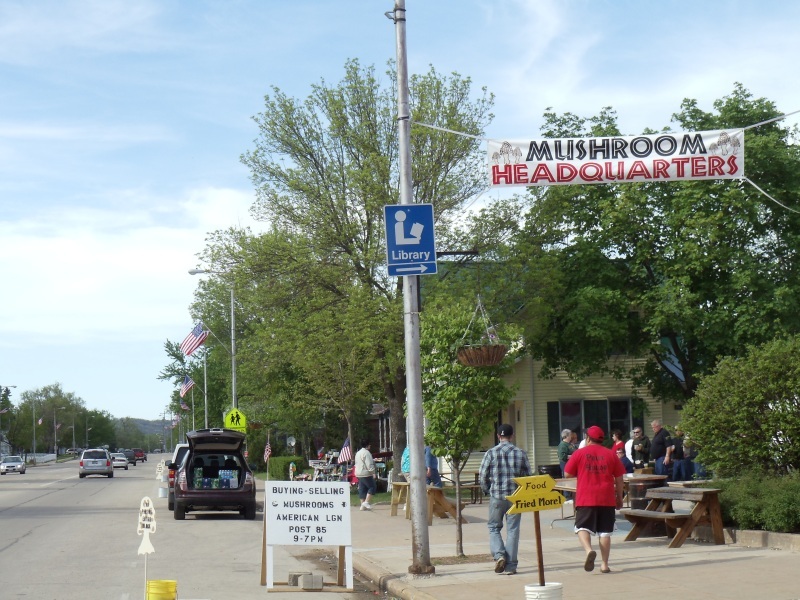 Ambling through Potosi for miles and miles, you descend towards the Mississippi River and then, shortly before reaching it, the road heads back inland a bit and parallels the river to Cassville (pop. 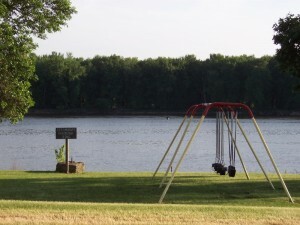 947), a pleasant yet remote burg on the Mississippi River. Cassville is considered one of the best sites in the Midwest for viewing eagles, as this is a prime area for their migration. Cassville was originally settled in 1827 and was named after the Territorial Governor of the time, Lewis Cass (this was Michigan Territory at the time, by the way.) The fledgling burg threw its hat in the ring to become the capitol of Wisconsin Territory when it was first organized in 1836. While it failed in that regard, it attracted a new resident, Nelson Dewey. Drawn to Cassville from his native New York State, Dewey became Wisconsin’s first Governor when it became a state in 1848. Cassville is also known for the Cassville Car Ferry (608-725-5180), which makes the run from Cassville to Turkey Creek, Iowa. 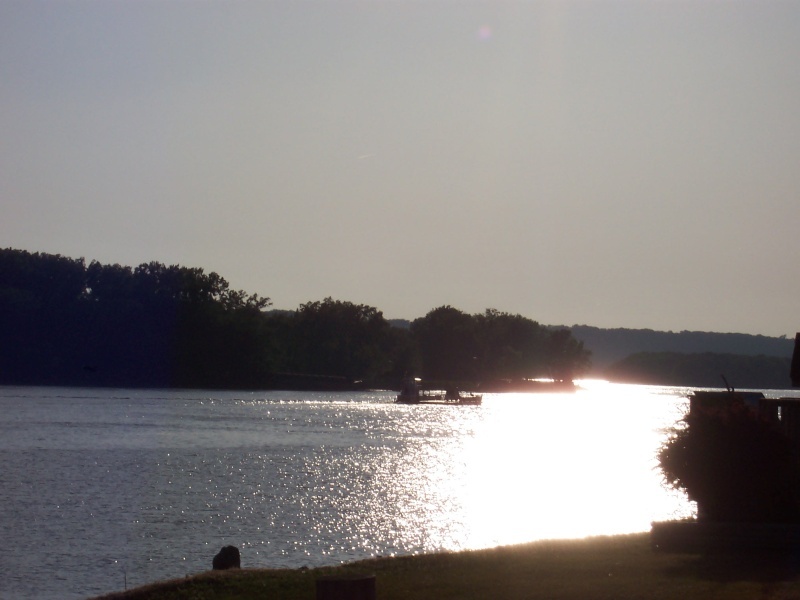 It’s the only river crossing between Dubuque and Prairie du Chien, and still serves as the oldest operating ferry service in Wisconsin – Cassville has been served by a river ferry in some form or another since 1833. Click here for a schedule and fare information. 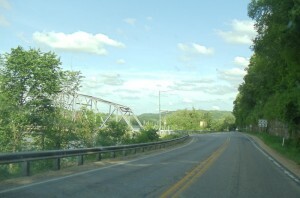 Highway 133 provides access to the Cassville Car Ferry via Crawford Street. Cassville is also home to Stonefield, a 2,000 acre historic site that was once the country estate of the aforementioned Nelson Dewey. When the house was completed in 1868, one Wisconsin newspaper described it as “the showplace of Wisconsin with its beautiful green lawns, gardens and orchards, stables and other buildings, and miles of stone fences.” The original home burned down in 1873, but it was rebuilt by General Walter Cass in the 1890s for his home, a building which still stands today. 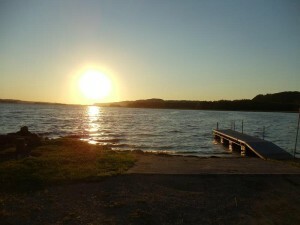 The land was acquired by the Wisconsin Conservation Commission in 1936, and the State designated the area a historic site in 1954. Today, it houses a cornucopia of historical treasures, including the State Agricultural Museum. 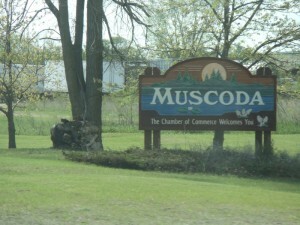 Completed in 1971, the Museum houses Wisconsin’s largest collection of farm tools, models and machinery detailing Wisconsin’s agricultural history. There’s also a railroad display and a recreated farming village. Check it all out in greater detail here. In downtown Cassville, you connect with Highway 81 which heads out to the county seat, Lancaster, as well as Platteville and points east. Highway 133, after a long trek southwest, west and northwest since Tennyson, begins heading north and northeast (part of the big “C” shape the entire route makes in its entirety) and winds through more bluffs and valleys through North Andover to Blooomington (pop. 701), where it meets up with Highway 35. 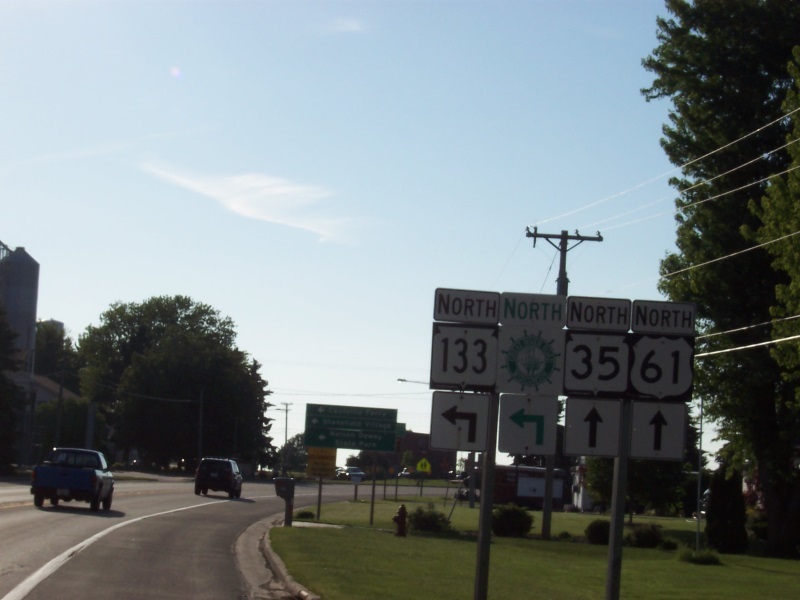 Highway 133 joins 35 for several miles before arriving at U.S. Highway 18. 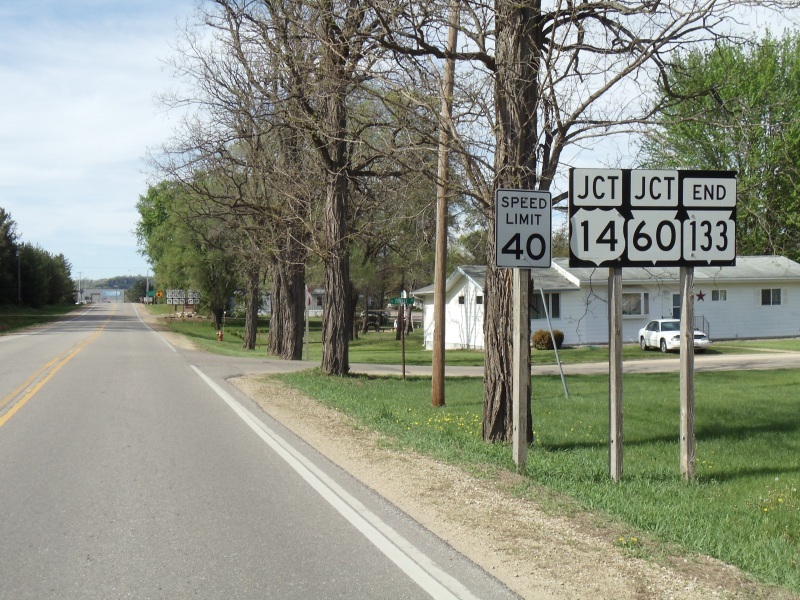 While Highway 35 heads west with 18 towards Prairie du Chien, 133 joins U.S. 18 for the ride east, along the Military Ridge for about 6 miles before heading north again at Mount Hope. 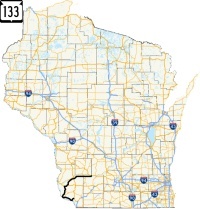 Highway 133 ambles through some beautiful hills and valleys approaching the Wisconsin River; when you reach the river (though it’s tough to see through all the trees), 133 turns northeast, paralleling the river’s southern shore but often inland by several blocks or even a mile. It all depends on the backwaters and towns. 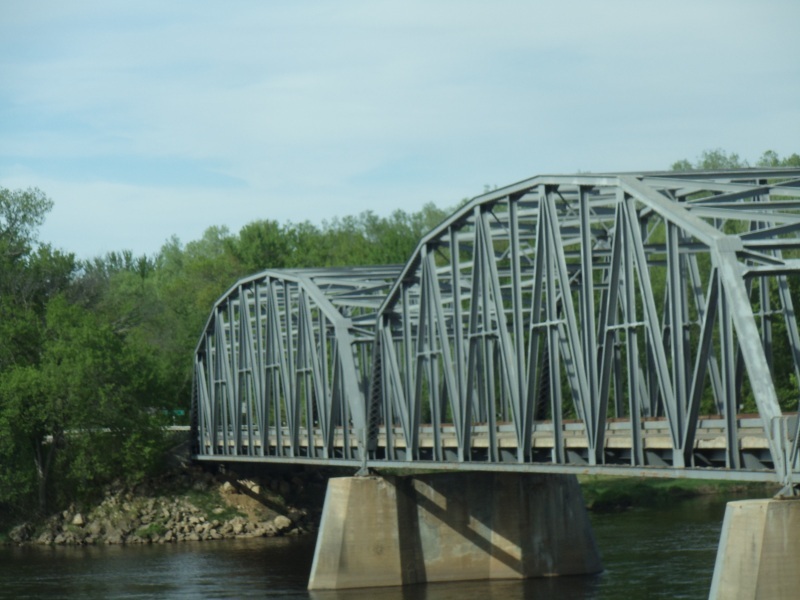 Pretty much everywhere a bridge crosses the Wisconsin River on this stretch, you’ll find a town. One of them is Boscobel (pop. 3,047), Wisconsin’s “Wild Turkey Hunting Capital”. So, if you feel like hunting wild turkeys, you’re in luck. Boscobel is also the birthplace of the Gideon Bible and the Gideon Society… so the people who got the idea for placing Bibles in hotels and motels all over the country came from here. Boscobel offers up a beautiful downtown lined with a number of well-preserved – or adapted – 19th century buildings; fans of architecture should check it out, several blocks east of Highway 133 at the U.S. 61 crossing. The Rock School (207 Buchanan Street) is another stunner, once shockingly designated for demolition. Boscobel Station, built in 1857, has historically served as a “nerve center” of town and includes a new museum. 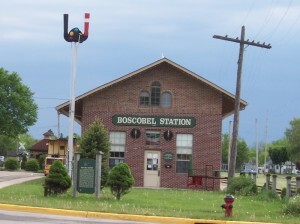 Boscobel Station, which dates back to 1857. 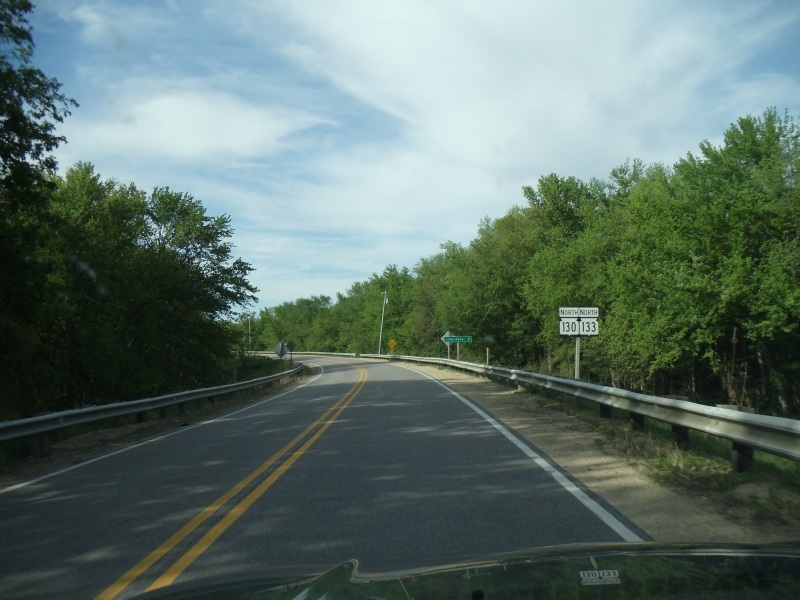 Out of Boscobel, Highway 133 makes a beeline towards the village of Blue River (pop. 429). Near Blue River is Eagle Cave (16320 Cavern Lane, 608-537-2988), the state’s largest onyx cave. It was discovered back in 1849, although it was almost ninety years before the cave was opened to the public. It’s a popular camping location and a cave exploratory program gives people a comprehensive tour. 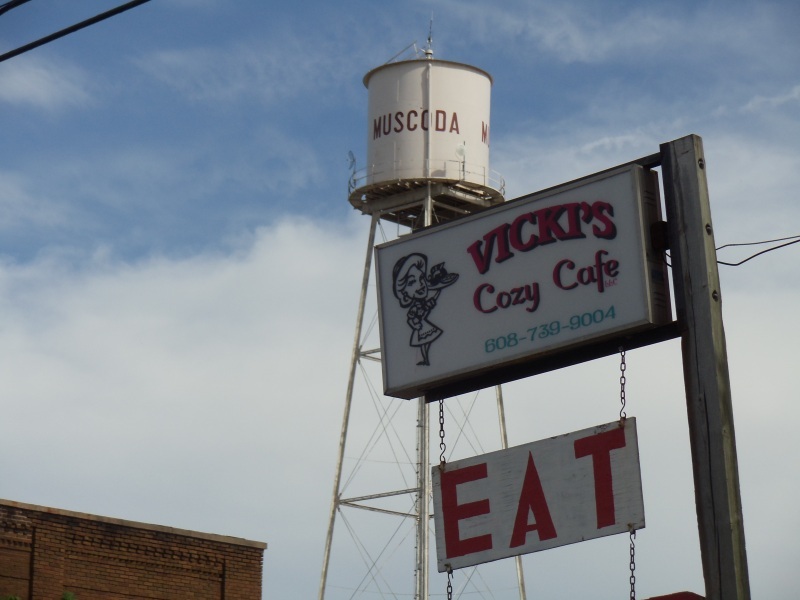 Muscoda’s water tower above Vicki’s Cozy Cafe… the kind of small town diners that offer the best road food. This is along Highway 80 right through town, just north of Highway 133. The annual Morel Mushroom Festival celebrates the area’s status as a prime source of the popular delicacy. 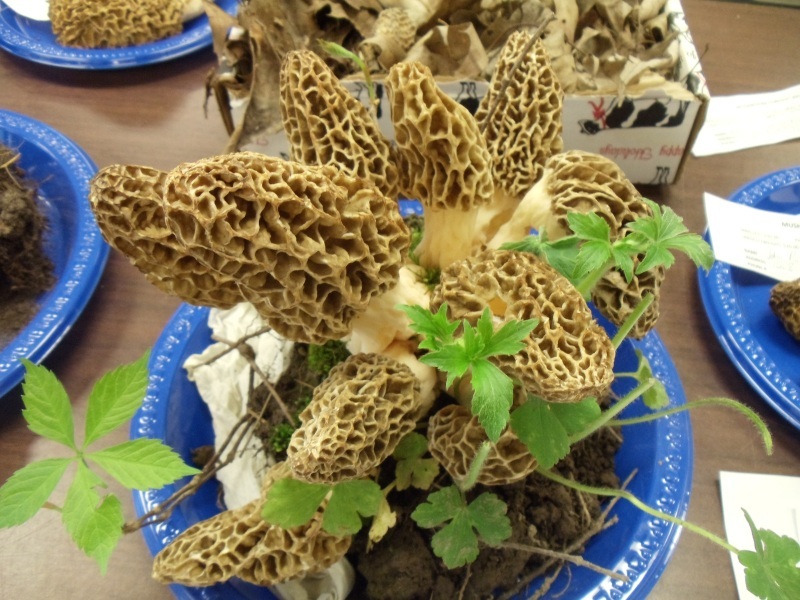 Morel mushrooms don’t look like your typical ‘shroom… but they don’t taste quite like a typical mushroom, either. From Muscoda heading east, Highway 80 joins 133 for several miles before breaking south towards Highland and Cobb – and eventually the Illinois line south of Cuba City. Meanwhile, Highway 133 heads through Avoca (pop. 608), named after the town in Ireland (and yes, they have a St. Patty’s Day parade.) The nearby Avoca Prairie features the largest tallgrass east of the Mississippi River. You can reach it by turning north on Hay Road off 133 just east of town. Depending on how much rain there’s been, it’s sometimes easier to reach the Avoca Prairie by canoe! 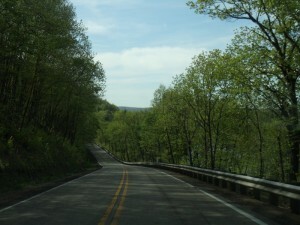 Above: Between Avoca and Lone Rock, Highway 133 hugs the shore above the Wisconsin River, the view of which varies based on how thick the trees are; the river is to the left in this shot. 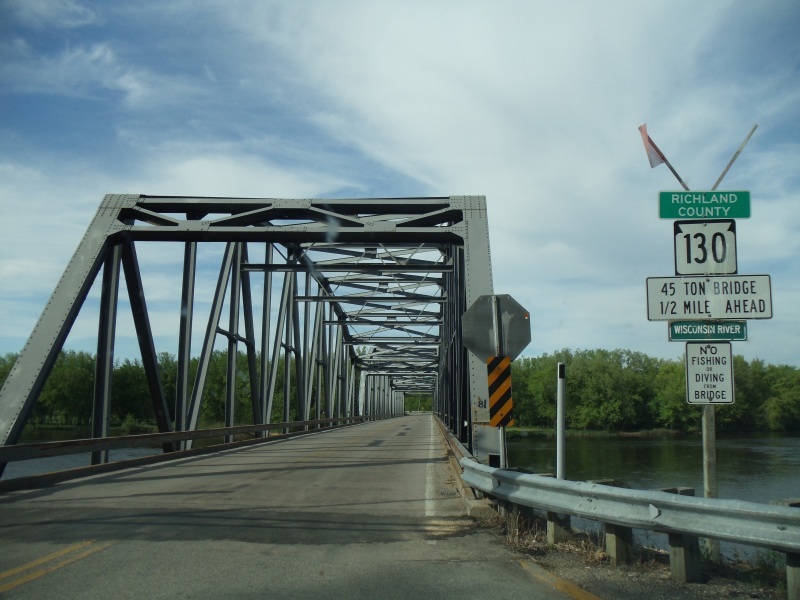 Highways 130 & 133 cross the Wisconsin River using several bridges, including the Long Lake Bridge (built in 1932 and rehabbed in 1989) and the Wisconsin River Bridge, which crosses the main channel. 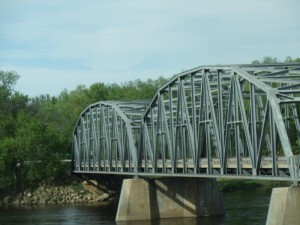 This bridge, pictured, dates back to 1942. Updates were done in 1968 and 1989. They carry about 2,500 vehicles per day. 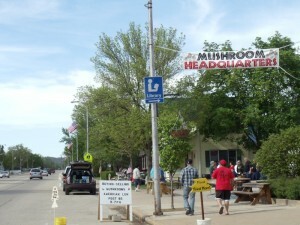 Highway 133 meets up with Highway 130 for the ride across the Wisconsin River into Lone Rock, the final destination on the route. The final destination for Highway 133 is Lone Rock (pop. 929). 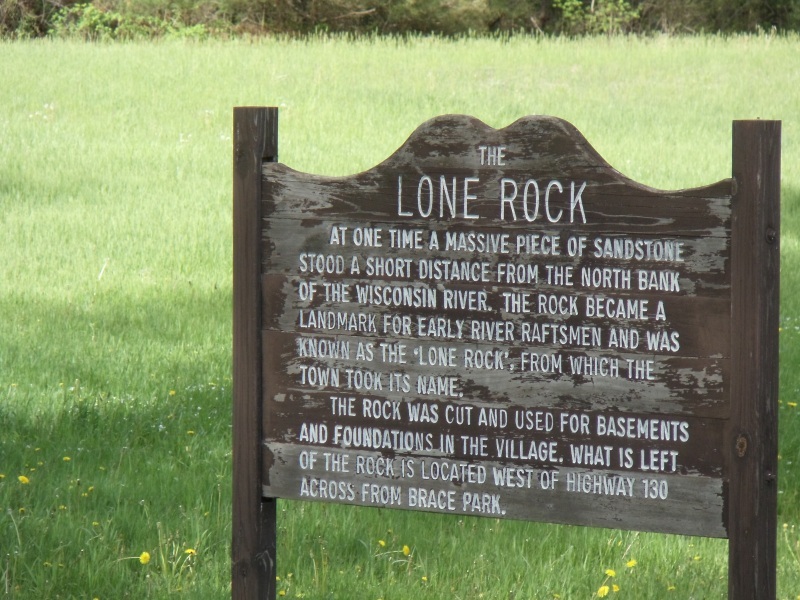 Named after a large sandstone rock that served as a navigation point along the Wisconsin River, little is left of the actual rock; it was used extensive in the late 19th and early 20th centuries to help build the town’s houses. Highways 130 & 133 cross the main channel and a few backwater areas of the Wisconsin River before finally heading into Lone Rock. A stop at Brace Memorial Park reveals not only a relaxing place, but some history about the town’s origin and name. 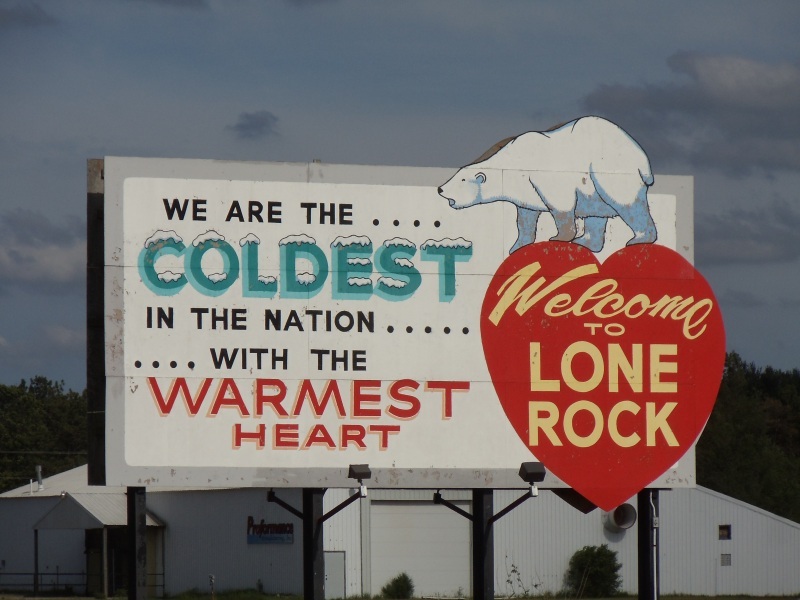 Lots of Wisconsin cities have registered low temperatures, but the -53 on January 30, 1951 gave Lone Rock claim as the coldest place in the United States, at least for a while (you knew a place in Minnesota would eventually get colder). But they play off the “cold hands, warm heart” saying with this sign below along U.S. 14/Highway 60, just past of the end of Highway 133. 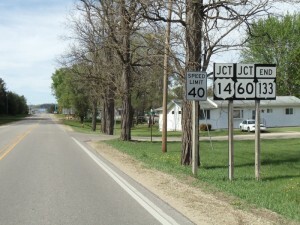 Just north of the Wisconsin River, Highway 133 comes to an end approaching Highway 60 & U.S. 14 on the north end of Lone Rock. You can head west to La Crosse, Richland Center, or Prairie du Chien, or east towards Spring Green, Madison and points east. • Highway 133 forms an unusual "C" shape on its route, curling southwest to Potosi before going north and east to Lone Rock. • Through Potosi, locals credit Highway 133 as being the "World's Longest Main Street"
• The Great River Road uses Highway 133 from its start in Tennyson to Cassville at the intersection with County VV near Stonefield.